Performing superior cleaning services weekly, bi-weekly, or monthly, giving you "One Less Thing To Worry About". We pride ourselves on being the cleaners that you trust to leave your home spotless. Call to get your home cleaning quote now. Smell the difference... See the difference... Feel the difference... Not just the first time, every time, OR IT'S FREE! It’s not clean, unless it’s White Glove Clean. Moving is a headache. 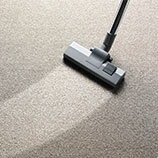 Whether you are coming or going, there are many challenges associated with moving and cleaning is one of them. On top of everything you already have to do associated with moving into a new home, the last you have any time for is cleaning. Our housekeeping service is much more than just a shining floor; it is about what we can do for you to make your new house feel like a home. Go ahead, relax; we will take care of everything cleaning-related for you. Schedule your move-in/move-out cleaning today. At White Glove Cleaning Services, we promise to leave you with a spotless space, cleaning everything in sight from top-to-bottom. Whether you are looking for a one-time deep clean before a big event or you are interested in our weekly and bi-weekly appointments, housekeeping, or office cleaning, whatever you need, we do. Using only the highest-quality environmentally-friendly products, you never have to worry about what your office looks like again. When it comes to your house, there is no room for messes. Whether you’re a neat freak or you just like things tidy, little compares to coming home to a space that is spotless, fresh, and clean. While it would be nice to tend to your home as often as you like, we know that sometimes that is just not the practical answer; so we offer you an easier solution, taking care of all the housekeeping for you. Are you tired of coming home to your apartment looking less than spectacular, yet there never seems to be enough time in the day to do anything about it? We know what your feeling; we have all been there. When it comes to the office cleaning, the last thing you have time to think about is dirt. While you may not want to consider how long it would take you the thoroughly clean your entire office, that does not mean that the dirt and grime do not accumulate. Don’t stress, White Glove Cleaning Services will take care of everything for you. Because moving is one of the most stressful things many people do, White Glove Cleaning Services offers to help you. 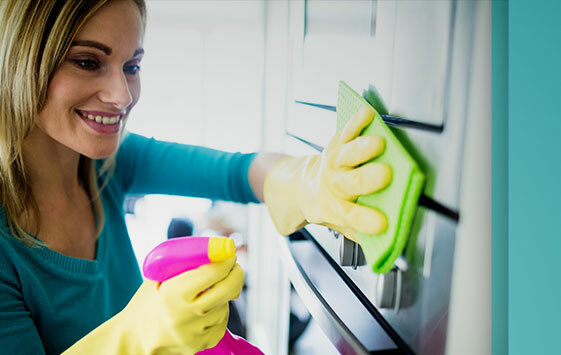 Whether you have to get your apartment or house in top condition in order to get your deposit back, or you would like your new home to be move-in ready before you arrive, White Glove Cleaning Services provides superior housekeeping services to make your move less overwhelming. From your refrigerator to your ceiling fans, windows, and carpets, you can trust that we take care of it all.